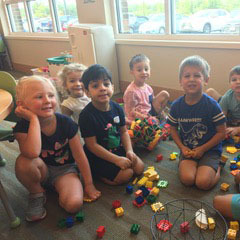 Welcome to Heritage Classical Academy Preschool! 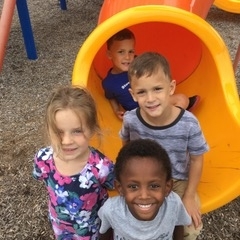 We believe each child is uniquely made by God, and we desire to partner with parents in providing opportunities for children to learn of God’s love for them at young ages. Our entire staff—teachers, administrators, and support staff—love the Lord Jesus Christ and are committed to providing a nurturing and loving environment which helps each child grow spiritually, mentally, socially, emotionally, and physically. 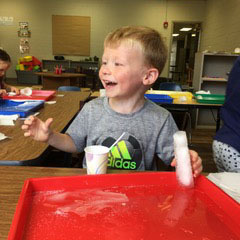 Preschool classes held at Bainbridge and Peninsula Campuses. HCA Preschool offers an exciting program created to help families afford a private Christian education. With this program, families can enjoy all the benefits of HCA’s preschool while also “saving” for elementary school. We offer before care for students arriving before normal drop-off begins. We are happy to offer an after school option for children in our 3 year old preschool class. For $5/child/day, children can stay until 12:30pm and enjoy lunch and play time activities with the 4 and 5 year old classes. Parents should communicate with teachers regarding which day(s) their children will be using the Lunch Bunch option. The best way to understand Heritage Classical Academy and a classical Christian education is to see it for yourself! Prospective parents should attend an HCA Open House or schedule a personal tour and meet with the admissions staff before submitting an application. We host several Open Houses and informational meetings each year. Visit our calendar to find the next open house or event. Once you’re ready to register, parents should complete our application via our online admissions page found here. A non-refundable application fee of $85 per student is required with every student application. Registrations are accepted at any time. Children must meet the age of the class they wish to attend by September 30, 2019. Upon acceptance, other forms must be submitted. To ensure a common understanding of the Heritage Classical Academy mission, policies and school culture, at least one parent must meet with HCA’s Head of School or Principal. At least one parent must also read and sign the HCA Statement of Faith with the application. Please contact Whitney Heitmeyer at whitney.heitmeyer@heritageclassicalacademy.org or call 330-548-1738. You may choose to pay the entire annual tuition via check before school starts in July. Alternatively, payments must be made monthly via FACTS, a third-party tuition management company. FACTS charges an annual nominal fee for their services. Follow the link below to register with FACTS.